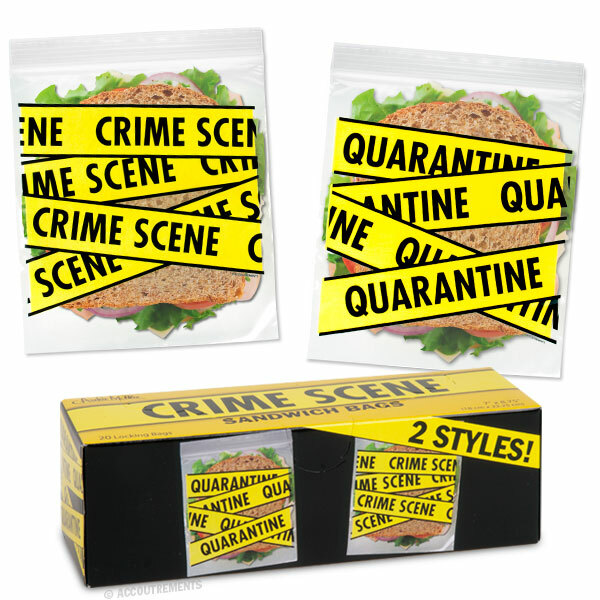 Pack your lunch with a Crime Scene bag and that lunch room thief will think twice before crossing a police line to sample your peanut butter sandwich. Or, use a Quarantine bag and watch everyone take a wide berth around your baby carrots. These are also good for wisenheimers packing up leftovers of food they didn't enjoy. You get 20 7" x 8-3/4" (18 cm x 22 cm) clear, locking plastic bags (10 each of two different designs). Illustrated box.